Leaving a linguistic trail: An interview with Mariagrazia Gerardi Watson on Watson’s Wine Glossary « Translator T.O. Mariagrazia Gerardi Watson is the wife of the late Giles Watson, a long-time ProZ.com member and advocate, the site’s first keynote conference speaker, and the creator of Watson’s Wine Glossary, an English-Italian specialized wine glossary so extensive that it includes over 3,800 distinct terms. 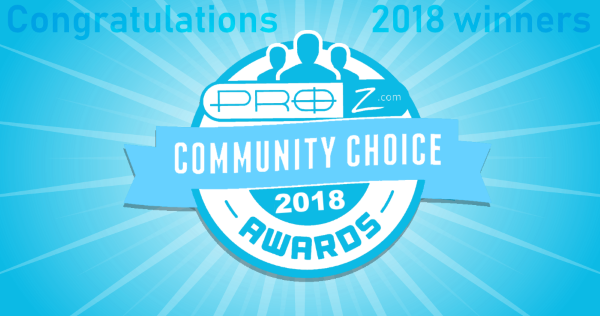 With the help of a team of volunteers (including ProZ.com Hall of Fame’s Angela Arnone), Mariagrazia has now undertaken the task of maintaining this massive resource. In this interview, I had the pleasure of asking Mariagrazia a few questions about Watson’s Wine Glossary: how it started, what she plans to do next, and what other wine translation specialists can do to contribute to this project. MK: First of all, thank you very much for participating in this interview with me. Can you tell me a little bit about how Watson’s Wine Glossary first began? MGW: Giles and I were introduced to the wine world by a friend and colleague of mine who was one of the most important figures in the Slow Food movement. Thanks to him, we got to know many wine producers in our region, who showed us the meaning of wine making and the close relationship between this activity and the territory, the traditions and the history of a place. Giles was really fascinated by this world and started to read, study and research. Some of the producers wanted to make their wines known abroad and asked Giles to translate their leaflets and websites. This is how the whole thing began. As you know, Giles was a very precise and professional person, and he dedicated a lot of time to improving and extending his knowledge and competence in the wine field. His translations were recognized as very good and he was often asked to various events to teach how to make a good job of wine translating. After a while, quite a number of his colleagues started to ask him for advice and tips on the correct terminology to use, so he decided to start the glossary to share his experience and expertise. On the website, an introduction explains the purpose of the glossary. MK: Did you ever envision that it would grow to this size? MGW: I don’t think that even Giles expected the success of the glossary and he was very happy about it, and he certainly would have continued to improve it. MK: Is it possible to contribute terms to the glossary? What does that process look like? MGW: Yes, of course. This is what Giles wanted: to have a tool built up by all the people interested in it and not only by a group of experts. On the website, there are detailed instructions on how to get involved. MK: How can other English-Italian wine experts help preserve this glossary, apart from contributing terms? MGW: Using it, contributing to it, but above all, I think, sharing experiences and ideas, suggesting different approaches, points of view, in short: keeping it alive. The words of Ralph Waldo Emerson, “Do not go where the path may lead. Go instead where there is no path and leave a trail” may well represent the real spirit of the glossary. MK: What are your plans for Watson’s Wine Glossary in the future? MGW: What I would like to do, apart from continuing the implementation of the glossary (thanks to the help of friends and experts like Angela Arnone) is to create a dedicated area in which to publish some of Giles’s work, such as translations, presentations, articles, and interviews not only related to the wine field, and also links to events which were part of his interests and in which he would have loved to participate. Of course, as Giles would have approved, I will always be open to any suggestions. A very special thanks to Mariagrazia for taking the time to talk to me about Giles, who was certainly a very well-known and much loved member of the ProZ.com community. His many contributions to the site remain visible for the benefit of all. Well done Mariagrazia, Angela and co. I’d be very interested to see more of Giles’s work, his translations and articles, etc. He was my teacher at the University of Udine (Translation – Inglese III) in 1996-1997 and I have a very, very fond memory of him. I am very glad to hear about his legacy. Un saluto affettuoso da un suo studente orgoglioso.